Can you believe I have two blue mani's to share today - over achiever or what! 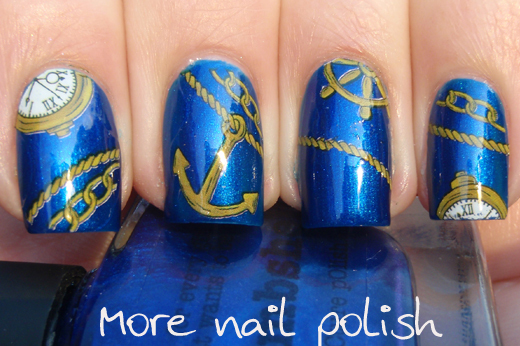 This first blue mani has a dark blue base from Picture Polish Bombshell and water decals from the Born Pretty Store. Can you tell that I'm a fan of the BPS water decals? I've not had a bad experience with any of their water decals, they are all high quality and provide a very professional finish to your nail art. Certainly much more professional than I can create free hand. 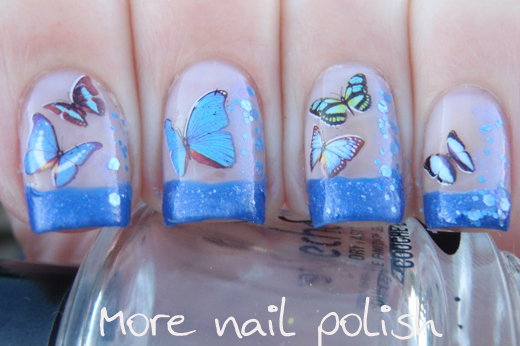 This set of water decals is item number #6207 on the Born Pretty Store and you pretty much can't go wrong with these. 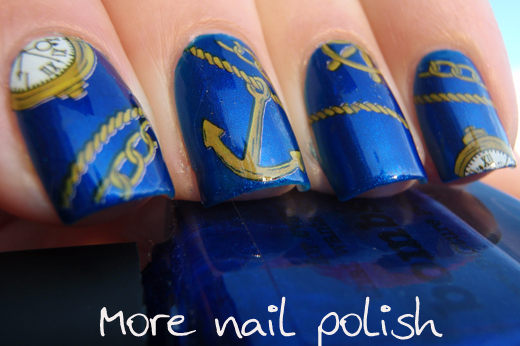 Paint nails blue, then soak and slide on the decals into positions of your choice. 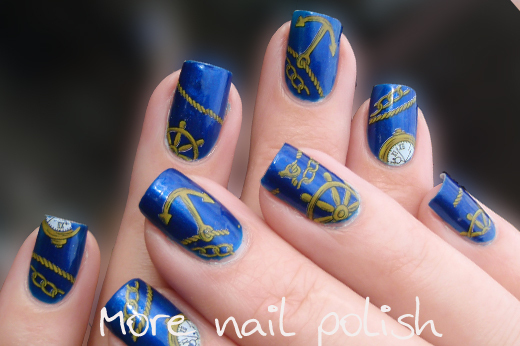 I especially love how these decals have white ink on them, which means you can use them over dark nail polish. Some other water decals I've bought and the ones I print myself don't have white ink, so if the design has white areas or yellow, then they only show up over white polish. 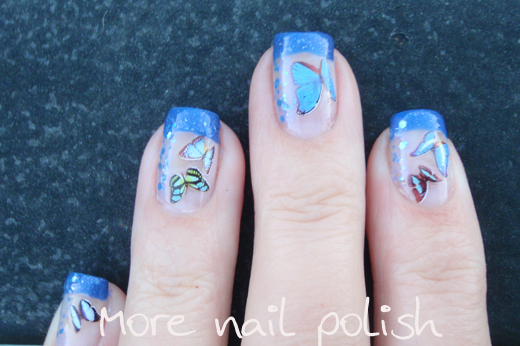 Design number two is the first butterfly design I created with my water decals sheet I showed you on day 1, also from the Born Pretty Store (#5310). I did the blue tip using Picture Polish Denim and a little bit of glitter up the side of the nail from Lynnderella Forget me Not. My Born Pretty Store discount code is : MNPG10 and will get you 10% full priced items. Ive just discovered water decals and absolutely love them :). 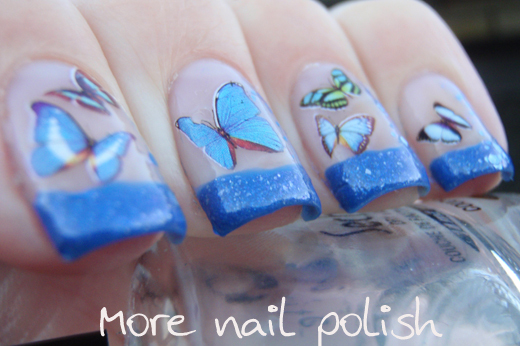 Those butterflies are gorgeous! Both of these are lovely. The white in a decal that looks this good is a real plus. 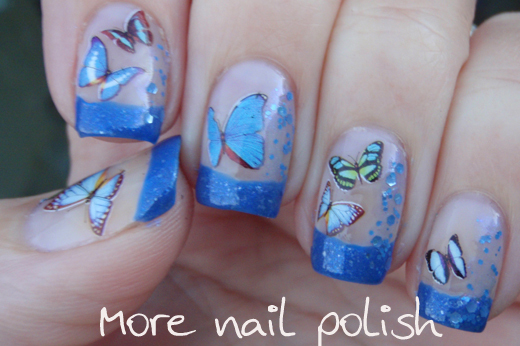 I think the glitter up the side of the butterflies really finishes the look. 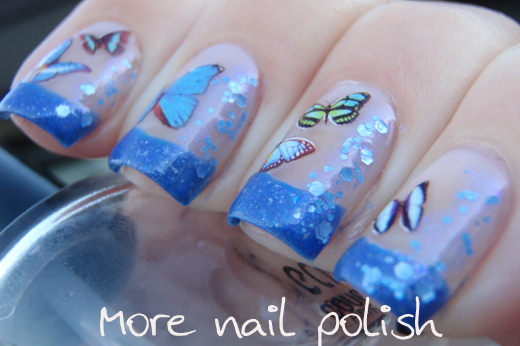 I could also imagine that one done with fish as the glitter could look like bubbles. 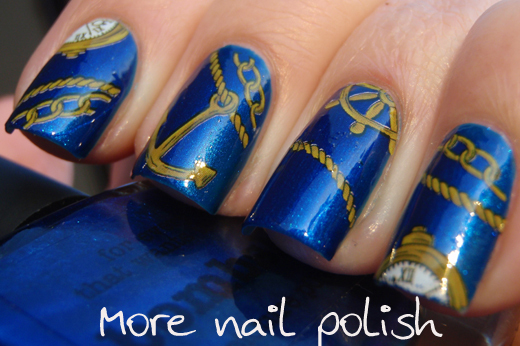 I love the nautical nails :).